For the bridge player, see Gerald Caravelli. Caravelli (born Claude Vasori; 12 September 1930, Paris, France – 1 April 2019, Cannet, France) was a French orchestra leader, composer and arranger of orchestral music. 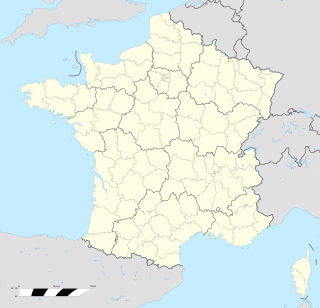 Cannet is a former commune in the Gers department in southwestern France. On 1 January 2019, it was merged into the commune Riscle. The son of an Italian father and a French mother, Vasori was initially instructed in music by his mother in piano and voicing/harmony at seven years old, and later, when he was thirteen he began to attend the Paris Conservatoire. At twenty he was professionally touring, accompanying singers on piano, and at 26 years old he started as an orchestra conductor. Vasori took his stage name in 1956 from the newly introduced twin-jet Caravelle from Caravelle Aerospatiale. This plane was the first jet created for the short-haul market. The first Caravelle entered service for Air France on May 9, 1959. He made it more Italianate in honor of his father's origins, changing the last letter: “CARAVELLI et son Violons Magiques/& his Magnificent Strings”. In 1959 with the help of the French jazz musician Ray Ventura, he obtained a contract to form his own orchestra oriented to popular music. He signed a contract with the French record label Versailles. His first album Dance Party was recorded. Under licenses these early recordings were released internationally (20th Century Records in the USA, Ariel in Argentina, Fermata in Brasil, and Discophon in Spain). In 1962, he composed Et Satan conduit le bal original soundtrack under his real name, French film starred by young Catherine Deneuve. In 1963, he composed "Accroche-toi Caroline!" 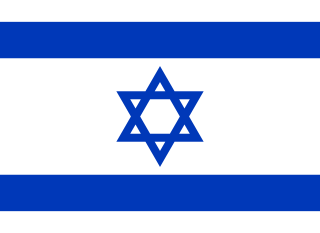 which was used by the BBC as the theme to the Vision On television series. Raymond Ventura was a French jazz pianist and bandleader. He helped popularize jazz in France in the 1930s. His nephew was singer Sacha Distel. The Versailles label was acquired by Columbia Records in 1964. 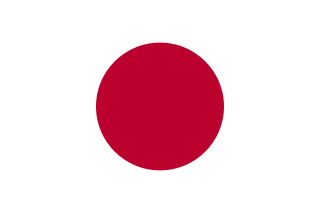 The wider distribution of their product led to gold records in France, Japan, Israel and South America. In Brazil his first released CBS album was titled Voyage Musical, in Argentina Merci Cherie. With his orchestra he also made recordings with Maurice Chevalier and Charles Trenet (La mer/Beyond the sea) among other singers. In 1970 he composed the music for the film L'Homme Qui Vient De La Nuit, starred by Ivan Rebroff, and in the same period recorded an album in USA. His first Japan Live Concert is recorded in 1972 by CBS. Louis Charles Auguste Claude Trenet was a French singer-songwriter. He was most famous for his recordings from the late 1930s until the mid-1950s, though his career continued through the 1990s. In an era in which it was unusual for singers to write their own material, Trenet wrote prolifically and declined to record any but his own songs. In 1973, one of his own compositions was included in the Frank Sinatra album Ol' Blue Eyes Is Back : “Laisse moi le temps” / “Let Me Try Again”, original French lyrics by Michel Jourdan, English lyrics by Paul Anka. This song was previously presented in competition at the Festival Internacional de la Canción de Viña del Mar, Chile, by singer Romuald representing France and obtaining the second prize (a Chile song was the winner), although it was considered the best song by critics and people. Making a delayed justice, a few years ago, it was proclaimed the Best Song in the history of this Festival, in its 41st Anniversary, something unusual for a non-first prize in any song contest. This song was also covered by Raymond Lefevre. 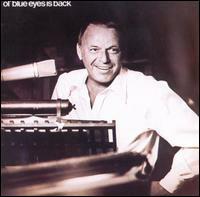 Ol' Blue Eyes Is Back is a 1973 album by the American singer Frank Sinatra. Michel Jourdan is a retired French film actor. In 1978, he composed and recorded the title song of "Goldorak et les 2 Mazingers", for the Japan anime/cartoon. In 1981 he toured the Soviet Union with his orchestra performing in Riga and Moscow with great success (all concerts were sold out). The summer of following year, he returned to the country, this time to make a record for the Melodiya label with Russians musicians and female singers (in his style without lyrics). This record In Moscow included 12 tracks, the majority written by young pop Russian composers, with a couple of traditional tunes. Two of the pieces were recorded in Paris with his own orchestra. In 1983 Caravelli plays Seiko Matsuda was recorded in Japan. Japan being a country in which he has a following, Caravelli is one of the few Western artists who have been invited to conduct the Japanese TV Network's NHK Orchestra,  In November 200,1 he was touring Japan with an orchestra composed of 32 musicians (tour N° 7 ), invited by the Sony Foundation (the previous tour was in 1996). At this time, Sony Music Japan assembled a 2-CD set Caravelli plays Michel Polnareff and ABBA , being the first (Polnareff) a selection from 1960 and 1970 albums (including his cover of "Love Me, Please Love Me") and the second (ABBA) a selection from 1970's recordings. In December 2003, he toured Japan again; the six concerts were sold out. Orchestre symphonique de Montréal is a Canadian symphony orchestra based in Montreal, Quebec, Canada. The orchestra’s home is the Montreal Symphony House at Place des Arts. Léo Ferré was a French-born Monégasque poet and composer, and a dynamic and controversial live performer, whose career in France dominated the years after the Second World War until his death. He released some forty albums over this period, composing the music and the majority of the lyrics. He released many hit singles, particularly between 1960 and the mid-seventies. Some of his songs have become classics of the French chanson repertoire, including "Avec le temps", "C'est extra", "Jolie Môme" and "Paris canaille". Didier «Ecama» Marouani is a French composer and musician. Paul Mauriat was a French orchestra leader, conductor of Le Grand Orchestre de Paul Mauriat, who specialized in the easy listening genre. He is best known in the United States for his million-selling remake of André Popp's "Love is Blue", which was #1 for 5 weeks in 1968. Other recordings for which he is known include El Bimbo, "Toccata," "Love in Every Room/Même si tu revenais," and "Penelope." Michel Polnareff is a French singer-songwriter, who was popular in France from the mid-1960s until the early 1990s with his last original album, Kāma-Sūtra. Since then, without any proper new original album, he is still critically acclaimed and occasionally tours in France. Patricia Kaas is a French singer and actress. Her music is a mix of pop, cabaret, jazz, and chanson. Franck Pourcel was a French composer, arranger and conductor of popular music and classical music. Stefano Bollani is an Italian composer, pianist and singer, also active as a writer and a television presenter. The Orchestre National du Capitole de Toulouse is a French orchestra based in Toulouse. It acts as both a symphony orchestra whose main residence is Toulouse's Halle aux Grains, and the permanent orchestra of the Théâtre du Capitole in Toulouse. Steve Barakatt is a Canadian composer, music producer, pianist, singer & creative director. When he was four, he began piano lessons. Over the next 10 years he studied classical music, and then switched to jazz. "Comment te dire adieu" is a French adaptation of the song "It Hurts to Say Goodbye". It was originally recorded by Françoise Hardy in 1968. 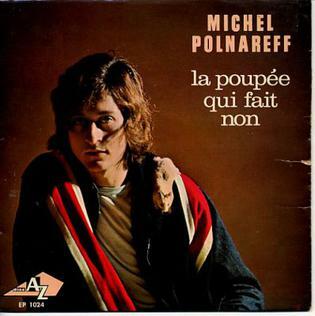 "La Poupée qui fait non" is a 1966 song written by Franck Gérald (lyrics) and French singer/songwriter Michel Polnareff (music). It was recorded by Polnareff, becoming an immediate success in France and one of Polnareff most definitive songs. Jimmy Page played guitar on the recording. It also appeared as the last track in his album Love Me, Please Love Me. Saint-Preux is a French composer of contemporary classical music which also combines elements from popular music and electronic music. His real name is Christian Saint-Preux Langlade. Olivier Toussaint is a French composer, pop singer, orchestra arranger, company manager, and record producer. Xavier Desandre Navarre, a.k.a. XDN, is a French jazz musician, percussionist and drummer. Concerto pour une Voix is a contemporary classical song written by the French composer Saint-Preux in 1969, combining elements from popular music and electronic music. The piece was first sung by Danielle Licari. Alexander Gurning is a Belgian pianist, composer and improviser. Mais qu'est-ce que j'ai? is a French popular song composed in 1947 by Henri Betti with the lyrics by Édith Piaf. The English lyrics were written in 1949 by Harold Rome. Love Me, Please Love Me is the 1966 debut album by French singer-songwriter Michel Polnareff. It was known originally as the self-titled album Michel Polnareff, but was identified later by the title song "Love Me, Please Love Me". 2019 in continental European music in geographical order. ↑ "In Moscow - Caravelli - Songs, Reviews, Credits". AllMusic . Retrieved 1 April 2019. ↑ "A New Day Has Come - Caravelli - Songs, Reviews, Credits". AllMusic . Retrieved 1 April 2019. ↑ "Strictly instrumental". Billboard . p. 38. ↑ "Le chef d'orchestre arrangeur Caravelli est décédé au Cannet à l'âge de 88 ans". France3-regions.francetvinfo.fr. Retrieved 1 April 2019.